With summer well on its way – not that you might think it from some of the weather we’ve been enjoying – it’s more important than ever to get fit and healthy, as we start to think more about what we look like at this time of year. It’s all very well ensuring that your makeup is great by using your unicorn brushes and silisponge however you also need to make sure your body is in great shape, too, and by trying to get 10,000 steps a day you will be well on your way. If you’re not sure about exactly how you can do this, this blog will give you some great ideas. 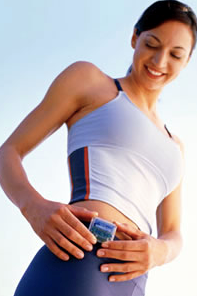 Of course, in order to know whether you are doing 10,000 steps a day, you will need to track them. Most new mobile phones have the facility to do this for you, but of course it will only count if you are actually carrying it around with you at the time. You could also buy a fitness watch, which means that you can wear it all day and check on your steps whenever you wish. This has the added bonus of the fact that you can usually get involved in online communities of other people who use these watches, and challenge each other, which should help to increase your motivation. If you’re used to driving right from your house to the car park of your office, then this is something that you could change to help you get more steps. Instead, you could try walking to work if you’re only a short distance away, or get public transport and get off a stop sooner than you really need to. Some workplaces actually have schemes to encourage people to stop using cars to get to work, which can include bonuses, so if you try to get involved in one of these then there is a chance that you could earn some money from it, too. If you’re anywhere where you need to go up or down a floor, there is a lot of temptation to simply step into the lift and use it. However, it is much better for your health to try and use the stairs instead, and this will help you to get more steps. Of course, it’s not a good idea to try and do this if you need to climb 40 floors, but walking a few floors at the beginning or at the end can really help – and if you only have one or two floors to travel then it really is great to try and walk if you can. Once you get into the habit of walking 10,000 steps per day, you should find that your motivation and overall health improves. This is the perfect time to do it, as summer is an ideal time to go out for extra walks, as you will be able to enjoy the sunshine while the days are longer.